Internet domain names like ‘.vin’ and ‘.wine’ and geographical indications could emerge as the thorn in the side of the TTIP talks. “We have written to the President of the European Commission to ask him to act, especially regarding the .vin and .wine domain names,” said France’s Secretary of State for Digital Affairs, Axelle Lemaire, in a report on 13 June. Her letter to the EU executive was also signed by Stéphane Le Foll, French Minister for Agriculture, and Laurent Fabius, Minister for Foreign Affairs, who called on the European Commission to oppose giving the domain names .vin and .wine without guaranteeing protection for French geographical designations. “This decision undermines ongoing talks on the transatlantic partnership by forcing it to be based on technical discussions regarding internet naming,” said one of the three Ministers in the report. The US also has its reserves. 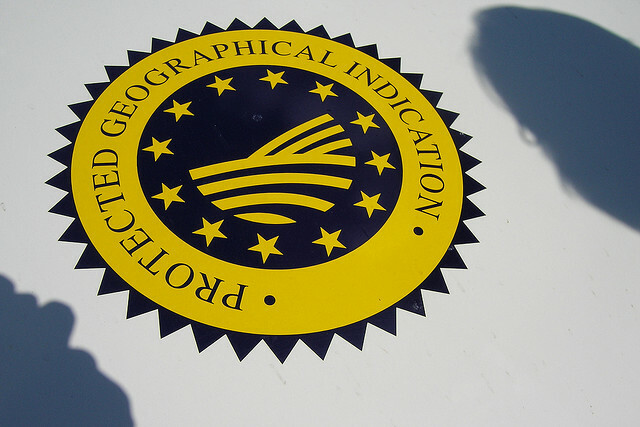 “The American government worries that if it starts recognising wine geographical indications in the framework of internet domain names, it will be weakened during transatlantic negotiations,” said Pascal Bobillier-Monnot, Director of France’s national confederation for producers of products that come under French geographical indications. The problem of internet domains is not new. In 2011, the institution that manages and coordinates the attribution of domain names in the world, ICANN (Internet Corporation for Assigned Names and Numbers) started a world-wide attribution process for new thematic or geographical extensions such as ‘.paris’, ‘.food’, ‘.hotel’ or ‘.wine’, as opossed to the classic ‘.fr’ or ‘.com’. The attribution rules were put in place by ICANN and do not take account of safeguards that are important to many European countries, such as limiting speculation on domain names and protecting the commercial use of wine geographical indications. In late September 2013, the EU’s Commissioner for Digital Agenda, Neelie Kroes, asked the ICANN not to assign ‘.vin’ and ‘.wine’ without an agreement to protect geographic indication in the wine sector. On 4 April, ICANN decided to push back the attribution process and grant 60 days of extra negotiations to parties involved. However after the extension period ended on 3 June, “no agreement could be found,” according to the French confederation for producers. “Since then, no one knows if the attribution process has resumed or not,” added Pascal Bobillier-Monnot. The letter from Paris to Brussels comes at an important time. There will be an ICANN meeting in London between 22-26 June, where the issue of ‘.vin’ and ‘.wine’ will be central. A letter signed by the European Commission and numerous member states will be presented at the meeting. “However, it is unlikely that the Commission will have the same position as France in transatlantic negotiations,” said Pascal Bobillier-Monnot. Not everyone is as concerned by the matter. “The problem is that ICANN don’t give a damn!” said one of Axelle Lemaire’s advisors. “ICANN takes decision that it deems technical, when they actually have political and economic consequences that are totally out of proportion with their legitimacy!” said David Martinon, French representative for international negotiations on the information and digital economy. “ICANN’s board of directors […] is getting ready to take decisions, and there is strong evidence that they will be bad for European interests,” he added. France is counting on support from Italy, which will take over the presidency of the European Union on 1 July 2014. ICANN (Internet Corporation for Assigned Names and Numbers) is responsible for defining Internet domains and for managing the Internet core directory. Domain names are an identification string that define a realm of administrative autonomy, authority or control on the Internet, such as '.fr' for France or '.org'. The EU and other countries around the world have acknowledged the success story of the US-born Internet, but have increasingly challenged the United States' sole control of Internet governance, especially in the wake of the NSA scandal.